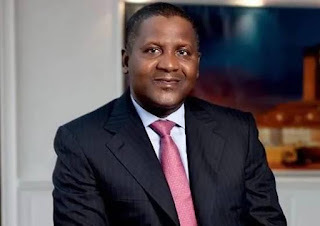 The North will continue to remain poor, except its state governments close the development gap between the North and the South, African richest man and Chairman of Dangote Group of Companies Alhaji Aliko Dangote has said. Dangote, who spoke at the fourth edition of the Kaduna Investment Summit (KadInvest 4.0) in Kaduna yesterday, berated Northern governors for doing little to end poverty in the area. According to him, “Nigeria is ranked at 157th out of 189 countries on the human development index. While the overall socio-economic condition in the country is a cause for concern, the regional disparities are in fact very alarming. “In the North Western and North Eastern parts of Nigeria, more than 60 per cent of the population lives in extreme poverty. It is instructive to know that the 19 Northern states, which accounts for over 54 per cent of Nigeria’s population and 70 per cent of its landmass, collectively generate only 21 per cent of the total subnational IGR in the year 2017. Closing the gap requires multi years investment, and government will not be able to raise the required capital funding, only the private sector can raise the capital to fund the level of investment that this country needs. Therefore, government must create a conducive environment that will trigger a huge inflow of private capital into attractive sectors of the economy. Urging other northern states to emulate Kaduna State Government in the investment drive, Dangote said aside the over $500 million investment that El-Rufai’s government has attracted to Kaduna, Dangote Group is partnering Peugeot of France and the state government to establish multi-billion naira automobile assembly. Dangote, who rolled out his group’s investment plans in the North and Nigeria, said with conducive atmosphere provided by the state governments, the private sector would address the country’s unemployment. El-Rufai said his government has attracted both local and international investments of over $500 million in the last three and half years. The governor said some of the investments are now a reality and hundreds of thousands of youth are benefiting from them.